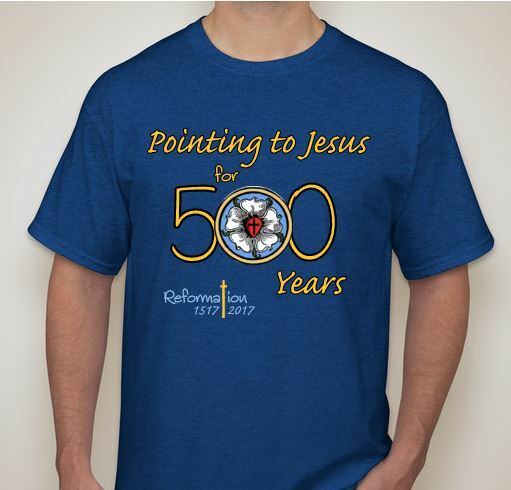 We are taking orders for new St. Matthew T-Shirts commemorating the 500th Anniversary of the Reformation. 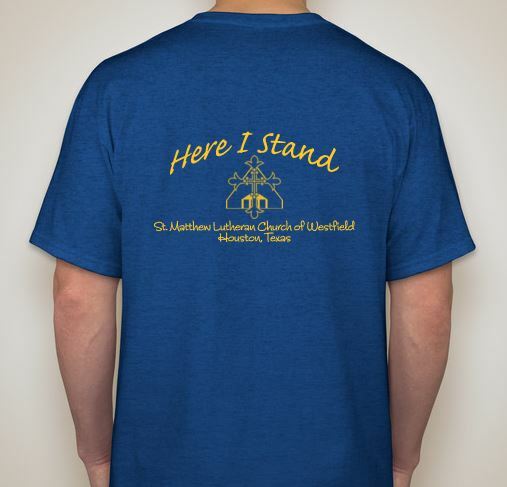 The blue shirts with “Pointing to Jesus for 500 Years” with the Luther Rose on the front and “Here I Stand – St. Matthew Lutheran Church of Westfield” with the church logo on the back are $15. Sign up on the order form in the Narthex. Payment must be made when ordering. We will take orders until Sunday, April 23 and will hand these shirts out on Mother’s Day just in time for Picnic Sunday.